There are a lot of people that like their mine PC barebone. 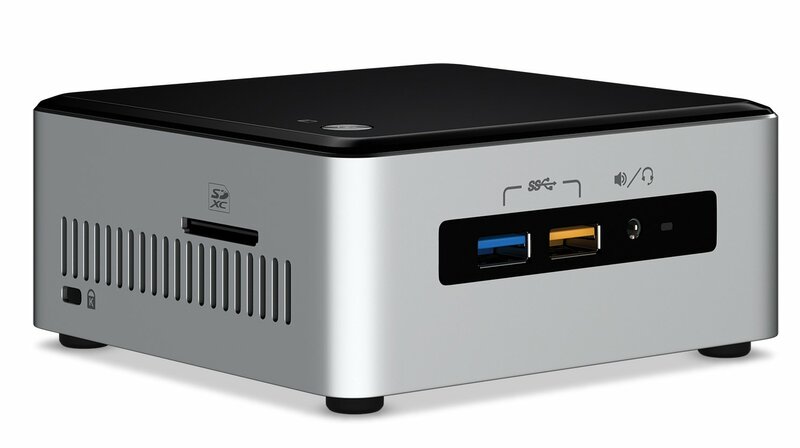 What is the meaning of a barebone mini PC and why would want to have one? Our computers experts will help you find answers to those two questions and also, give you a list of the top mini PC barebone models out there. What is a barebone mini PC? It refers to a small computer where you only get the motherboard and power supply. The processor comes soldered to the computer and in some cases, a small storage that acts as cache might be included as well. Generally, a barebone mini PC is ideal for working in places with tight space constraints. For instance, you can mount a mini PC behind the computer display or HDTV using VESA mount. Alternatively, you can simply place it adjacent to monitor as they are really small. Here are the best barebone mini PCs of 2018. Asus VivoMini is easily a great mini PC for all purposes. It features the latest 7th generation kabylake i5 processor that is backed by Nvidia 930M discrete graphics for smoother handling of complex photoshop-related tasks (Check: ASUS VivoMini VM65N-G063Z review). There is generous 8GB RAM and 1TB hard disk onboard which lets you work with multiple large layers without any hiccups. Its small form factor allows you to mount it behind the monitor using any VESA mount. Check Price and More. Intel NUC kit comes with powerful i5 processor and Intel Iris 540 Graphics that are capable of driving 4K ultra HD display (Check: Intel NUC Kit NUC6i5SYH review). There is room for a 2.5” drive and additional M.2 SSD slot which can be used for transferring data. You can add up to 32GB of memory as well. This makes it an excellent barebone mini PC so you can add memory, storage of your choice. Check Price and More. ACEPC CK2 bare-bone Mini PC is equipped with a better CPU: Intel Core i3 or i5. It can be the most expected Barebone Mini Gaming PC and Small Computer in 2018. Click to Buy Core i3 version or Buy Core i5 version. Please note that it’s a barebone model. No memory, OS or HDD included. It is powered by Intel 7th generation Core i3-7100U or i5-7200U Processor (3.50 GHz, 4M Cache), and supports M.2 2280, Nvme/SATA III and Intel Optane Memory, a full size 2.5″ SSD, and up to 16GB DDR4 Memory. The integrated 4K UHD graphics featuring DisplayPort and HDMI video outputs and 1080P in VGA video output. Behind the modest looks of HP Pavilion 510 (Check: HP Pavilion 510-p030 review) lives a powerhouse packing standard voltage Intel Core i3-6100T Dual Core Processor (3M Cache, 3.2GHz) 35W, featuring 8GB DDR4 2133MHz, 1TB storage and SATA Hard Disk Drive. HP ensures you’re productive right out of box. Check Price and More. Intel i3-6100T CPU Upgrade | Please Note: This is a Refurbished Product. Unit has been tested to ensure it is in perfect working condition, and inspected to ensure minimal scratches and blemishes. This computer comes with a 1-Year Limited Warranty through CUK only. Zotac barebone mini PC features the innovative beehive inspired casing which gives you maximum heat dissipation (Check: ZOTAC ZBOX C Series Passive Cooling Mini PC review). It is extremely affordable and capable at same time. In fact, it packs enough power to run multiple display setup. You should get this mini PC if you are looking for a small computer for daily web browsing, e-mail checking, productivity and multimedia tasks. * Processor: Intel N3150 (Quad-Core 1.6GHz, 2.08GHz with TurboBoost). * Hard Drive: Support 2.5-inch SATA3 HDD: Dual Gigabit Ethernet; 802.11ac Wireless; Bluetooth 4.0; Barebones System. No Memory, No HDD, No Operating System. * Ports: 2x USB 3.0 Ports (1 rear, 1 front Type C), 2x USB 2.0 Ports (2 rear).Three display capable: 1x HDMI Port, 1x DisplayPort, 1x VGA Port. 1x Wi-Fi Antenna Connector, 2x RJ45 Ports, 1x 3.5mm Headphone Output, 1x Microphone Jack, Front SD/SDHC/SDXC card reader. * Package Contents: ZBOX-CI323NANO-U, 1 x AC Adapter. 1 x Power Cord. 1 x Antenna. 1 x Driver DVD. 1 x User Manual & Warranty Card. 1 x Quick Start Guide, 1x VESA Monitor Mount (w/ 4 screws) , Mini-Optical S/PDIF Adapter. Barebone mini PCs are not for everyone. Not so techie users who are looking for some fun should just buy a mini PC for gaming or the ones that are meant to handle light office duties or web browsing. Barebones are for those who want to run the operating system with their choice and experiment with various types and amount of storage and memories. 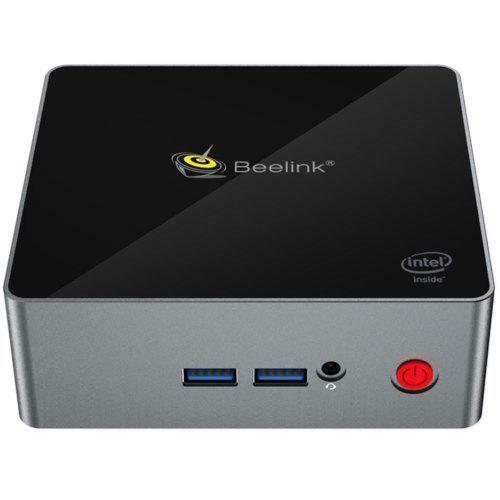 We hope you found this collection of best mini PC barebone useful.